As we drove away from the church, I closed my eyes and listened to the sounds. With the window cracked, I heard moving cars coming from the nearby highway. That sound had been deaf to my ears without hearing aids in them. Deep in my purse, I had buried those aids. I never wanted to wear them again. I opened my eyes and watched as Nicklaus, sitting beside me, spouted off these words. His tiny voice was not only audible to my ears, but annoying in its high pitch. I grabbed hold of his arm. 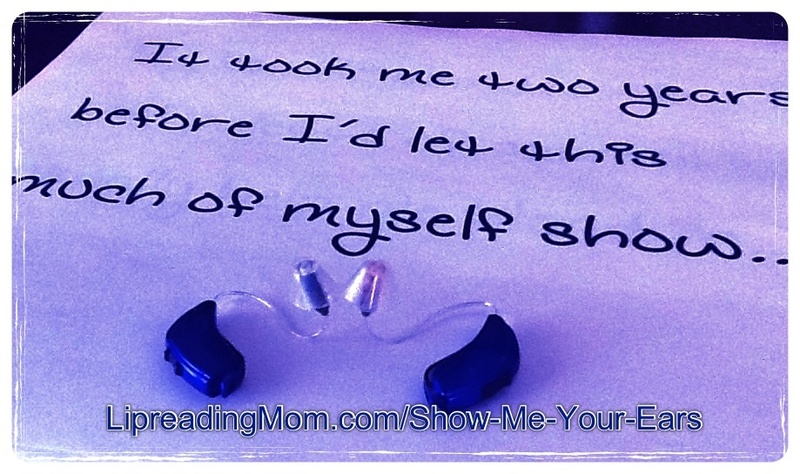 Yes, my own child teased me because I couldn’t hear well. And I am not alone. According to my research, hearing loss bullying is a phenomenon that affects people of all ages. Sixteen-year-old Michael (not his real name) has been physically attacked at school because of his hearing loss. Michael thinks he’s small for his age; a 13-year-old sister towers over him. He wears glasses and hearing aids, due to the partial deafness he’s had since birth. The bullying began in sixth grade when several students stole his stuff at school and threw it at him. Jacqueline (not her real name) has banned certain boys from coming home from school with her son. One of these boys called Jacqueline “retarded” because of her profound hearing loss. The day after the bully’s parents were told of the incident, Jacqueline was notified of an anonymous student reported through the school’s website report bullying link that the bully called Jacqueline “retarded” in front of a lot of students on the school property. Another time some boys spent the night and talked about Jacqueline behind her back. Later, she was told one of the boys said she was retarded. In the coming weeks, I hope to further explore the troubling phenomenon of hearing loss bullying. Not only will I share about others who have been targeted, but I will include ways to protect yourself or loved one from a bullying attack. If you or someone you know is currently being bullied, I encourage you to immediately talk to a trusted adult or call 9-1-1. Have you or someone you know experienced bullying because of hearing loss? Please comment below. Should your bullying experiences be noted in future blog posts, I will change names to protect privacy. My opinion on this subject matter is that every individual who either experienced or is experiencing “bullying” in any form or shape needs to address it in their own ways. To address this issue, it requires for the person to step out of the picture and assess what is happening. What is the cause of this bullying? Where is the root of this bullying stemming from? There are many social elements or issues that provokes or initiates bullying, therefore, to diffuse it…the victim needs to look at the whole picture and track the origin of this bully-type behavior. Once you identify the root, source or origin of this behavior…it becomes equally prudent for the victim to empower oneself on the best way to address it. It may require a plan A, B and C…because there is no way of knowing which method would be the most effective or successful. A case in point, I have traced bullying that stemmed from the perpetrator’s household. And if that is the case, addressing the perpetrator alone is not going to change anything. So how do we address that best? There is no right way or wrong way to address bullying but my suggestion is for victims to find the source or root of the cause to address it effectively. And this goes without saying…but bullying ALWAYS needs to be addressed regardless of the severity or impact it has on people. @Rochester – Those are excellent suggestions. The root cause of bullying is definitely important to know. This insight can help the victim know what triggers the bully’s behavior. I’m gonna sound a little angry here, but it’s not toward you personally, Rochester. See, the points you mention, while good, put the onus on the victim to “understand” where the bully is “coming from”. Well, why is it never on the bully to “understand” their victim? This is the problem. We blame the victim for “not standing up for themselves”, or whatever nonsense we spout at the time. It’s absolutely asinine. The victim didn’t do anything. The BULLY did. It’s the BULLY’s responsibility to take accountability for their actions, not their victim’s. Just because they MAY be getting this at home doesn’t mean it’s a decent justification to do it to someone else. People need to know that, whatever they experienced, it’s still NEVER okay to do to someone else what they had done to them. I say this because I got this a LOT when I was growing up. “If only you weren’t so quiet.” “If only you defended yourself.” “If only…” Yeah, right. I had hearing aids. I was fat. I had ears that stuck out like Dumbo, hence one of my horrible nicknames in school. It is NOT my fault that I was born with hearing loss. It is NOT my fault that my ears stuck out. It is the BULLY’s fault for thinking it’s perfectly fine to assault, pick on, & verbally abuse their victims. That’s all I have to say. Good blog, Shanna, although it hits much too close to home for me. @firestar – Thank you for commenting. It is not easy to admit we have been bullied before, and I compliment you for it. Wonderful point about putting the responsibility fully on the bully’s shoulders, not the victims. I will message you directly. At that point I turned on the woman and snapped, And you deserve to be raped because you wear skirts, right?” She shot back, “That’s not what I said!” The PADD attorney in the room commented, “Actually, Bonnie, that’s EXACTLY what you just said.” You could have heard a pin drop. That same school VP thanked me when my kid graduated from high school for teaching her about diversity. (After the school and the district lost a federal discrimination lawsuit.) I told her she was NOT welcome, that she and her cohorts had made my daughter’s life a living hell for three years. I added that I hoped she’d finally learned not to torture students with handicaps. It might have been churlish, but that’s how I felt. No one should have to endure what my daughter did. I still feel that way – my daughter is human being, not a lesson to be learned. There are times when one can step back and address issues. However, there are times one cannot. The older I get and the more experience I have with abusers the less willing I am to take abuse from anyone for any reason at any time – nor will I allow it in the lives of my daughter and her children if I have anything to say about it. Yes, the helicopter is still fueled up and ready to fly – because my other response vehicle is a broom and no one wants to see me fly in on that one. Ultimately, it is up to the other person (bully) and their Higher Power to fix their own problems. My job is to create boundaries regarding what is and is not acceptable and then back it up with an immediate consequence of some sort – calling the cops, calling them out on their behavior in public, etc. Education happens in another venue – when someone is being bullied the time to act is then, even if the action is to call for help. No, I’m not always adversarial. I spent an hour and a half explaining to an individual why the way he presented his argument was abusive and bullying and how to reframe his comments if he expects anyone to listen to him. But I did that as a favor to a family member – to attempt to de-escalate a situation. Firestarter…I understand where you are coming from and do respect your point of view on this subject matter. However, I was writing in a proactive and effective way to address the bully.because as you may already know…bullying is a product of ignorance or a by-product of what goes on at home. Do you honestly believe that you can make a bully understand to take responsibility for his or her own actions by standing up to them face to face? I mean, if the bully understands that concept…then there wouldn’t be any bullying in the first place. Let me reiterate my post….first, I never said anything about blaming the victim…and honestly, I don’t know how you came up with that other than me explaining how to handle bullying effectively. See…bullies are irrational people to begin with…so from my experience, I sought for the root-cause to “nip it in the bud,” if you will. My thinking here is this…if you place consequences for the bully’s action then and ONLY then will they take responsibility for their own action. See my point? You cannot just go up to the bully and say “please stop” because nothing will come out of it. Also, you cannot go up to the bully and attempt to rationalize his/her behavior because that, too, will yield nothing. But if you assess the situation from an outside perspective and see where it stems from…then you are essentially empowering yourself with better ammunition to put an end or a stop to it. Lastly, I learned the hard way…and I am just sharing what worked for me. From my experience, I learned that you need to outsmart the bully to make it end. I can only think of one instance in which I was bullied based on my hearing loss. In that case it was a college lecturer and I made such a huge stink about it that I was transferred out and she was let go after that semester. That was in the 60’s in Idaho, so that was remarkable. I’ve been bullied for other issues – my father was a judge (need I say more? ), I was hyperactive and a fluttery and inattentive kid, and so on and so forth, but I am a scrapper so it generally didn’t work well for people in my age group. My brother taught me to fight (it was, after all, the 50’s and early to mid 60’s) I’m sometimes referred to in this day and age as Xena, Warrior Princess (which is sort of funny, considering my age). Despite being a small woman I can ruffle up my feathers, square my shoulders, assume a fighting stance, get my intimidation face on, and unleash my tongue, which can flay others alive as necessary. My daughter was massively bullied for a physical disability. I became a helicopter parent since the schools were inept in the extreme and was known to call the cops, force confrontations with parents of bullies at the school, and even bring a discrimination lawsuit against a school district. I’ve been the motivating factor behind school suspensions and threats of expulsions. Zero tolerance was my motto before there were zero tolerance policies. If the bully is him/herself at risk that is important to know. Other than that, we extinguish bad behavior. I don’t care about the social pecking order and the fact that bullying is part of primate behavior. If the risk of bullying is higher than the reward the behavior ends rather rapidly in my experience. Information is lovely, education is great, stopping the behavior is what is important. I think the hardest of all bullying to deal with is parent against child. To be honest, I don’t really give a sh*t about the motivation of the bully. I endured bullying from my father and his motivations were totally irrelevant. As a child protection worker I didn’t attempt to help parents understand their internal motivation, I taught them to stop dysfunctional behavior. Stop. Now. I have been hearing impaired all my life and mainstreamed in a hearing school. I know firsthand the damaging effects of being the only person in your class with a hearing loss. I can remember back to my preteen to high school days of consistent bullying by my peers and discrimination by the staff of the school. As a latchkey child in the late 80’s, I would always have to face bullies after school and have been in many fights. I can recall a time I got into trouble for defending myself from a mob of kids I hit someone in the head with a rock in attempt to evade a beat down. I was transferred to another high school due to a football coach calling a “Stupid mother*******” You get the point! The school district did not want to fire him because he was the head coach. The district paid for me to attend another school in a different district with a hearing a deaf and hard of hearing community. Bullies were still prevalent at this school as well but being a new student having long hair and hanging with the tough crowd shielded my hearing aids many did not know I was hearing impaired once they got to know me they were not bothered by it. I have been in 3 different high school and I know it can be a challenge to make friends. I am a returning college student as a family man and I still encounter issues with college students with their clicks and sarcastic comments. I am a film student and I havehad trouble securing positions or keeping positions due to others perception that I am slow minded, even though I have a higher GPA and outperformed then most of my peers. The discrimination is still prevalent today. Before returning to school I used to work in the industry of providing hearing testing equipment to hearing professionals. I have had people that are hearing professionals make some rude comments or remarks about me being slow minded etc. They would call the office and request another technician. I currently battle with two disabilities one is obvious the other hides beneath the skin called Scleroderma. Having a hearing loss helped me learn to adapt and deal with the challenges I face on a daily basis. I have learned to look forward and let things remain in the past. I refused to let these past barriers stop me from pursuing my passion in photography, film and stop motion animation. I am now producing promotion films for the campus career center and working as a media tech at the campus theater. I am radio host and a student leader on campus as well. I have one more semester to complete before graduating with BA in Cinematic Arts and minor in Visual Public Arts. I am applying for a Masters degree because I would like to teach Film and Photography at a University. I am just grateful for every breath I take and I do my best to encourage others to live their life the fullest. Our past does not define our future! Yes, I advocate to stop Bullying Period! Eric – Congratulations on pursuing your film degree! I would like to share your comment on the Stop Hearing Loss Bullying Facebook page at http://www.Facebook.com/StopHearingLossBullying. Blessings to you. I have been yelled at, screamed at, questioned, commented on, etc., regarding my hearing loss. I would NEVER speak to or about someone the way others have done to me. I find it very amusing that not ONE of these bullies has accomplished what I have: 3.513 GPA & Natl. Honor Society in high school; BA in top 10% in college; 21 years as an Intel analyst with the FBI & having a Top Secret security clearance for 21 years; and paying off two homes in full years early. If they treat me like that, and to all eyes I look “normal,” how do they treat someone in a wheelchair? Or a blind person? Or someone missing a limb? Maybe the bully will be in their shoes someday. Fran – I commend you for your attitude and accomplishments. Continued blessings to you. I am a freshman in high school and I was born completely deaf in my left ear. I have had some obvious difficulties when it comes to listening to someone talking to me and trying to find out where a sound is coming from (someone calling my name out from a distance). This has lead to kids (including people I consider friends) constantly teasing me and making jokes about me to the point where it has became bullying. This has gone on for about 2-3 years now and it seems like it gets worse and worse everyday. Now, it seems like i can’t even have a conversation with someone without them making a hurtful joke or insult about me for something that i am not able to change because I was born with it. Most people would probably offer me advice to find new friends or to not hang out with them anymore, but these people who verbally abuse me everyday are on my baseball team, making it nearly impossible to avoid talking to them. I don’t even have to talk to them at all for them to make an insult about my hearing. Some of the names they call me include, deaf motherf***er, disable, retard, and many more hurtful words that totally destroy my self-confidence. ” You don’t look deaf” “You should not have OAP bus pass” ” You not disable not in wheelchairs” Sadly few friends have panic attack in taxi and buses ” I found buses,taxi and Risebrook Cafe hadn’t got hearing lop.